Manumatic, a portmanteau of the words manual and automatic, is a term referring to a class of automotive transmission. Manumatic refers to an automatic transmission that allows convenient driver control of gear selection. For most of automotive history, automatic transmissions already allowed some control of gear selection using the console or column shifter, usually to limit the transmission from shifting beyond a certain gear (allowing engine braking on downhills) and/or locking out the use of overdrive gears when towing. Manumatics enhanced such features by providing either steering wheel mounted paddle shifters or a modified shift lever, allowing the driver to enter a "manual mode" and select any available gear, usually in a sequential "upshift/downshift" manner. Different car manufacturers use a variety of labels for their manumatic transmissions, such as 'Tiptronic', 'Geartronic', 'Touchshift', 'Sportronic', 'clutchless-manual' and others. Some manumatic and semi-automatic transmissions allow the driver to have full control of gear selection, though most will intervene to prevent engine stalling and redlining by shifting automatically at the low end and/or high end of the engine's normal operating range. Hydraulically-coupled Manumatics and most semi-automatic transmissions also provide the option of operating in the same manner as a conventional automatic transmission, by allowing the transmission's computer to select gear changes. A few manumatics also allow an alternative automatic mode, often called "sport" mode, where gear selection is still fully automatic but the transmission will favor higher engine speeds (at which the engine will produce the highest horsepower and/or torque) by upshifting later when accelerating and downshifting earlier when slowing. The Automotive Products Manumatic and Newtondrive systems are also known as "two-pedal transmissions". 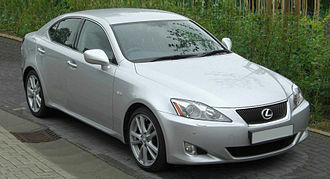 They relieve the driver of the need for skill in operating clutch and engine speed in conjunction with the gear change. A clutch servo powered by the vacuum at the induction manifold operated the automatic clutch - a conventional clutch incorporating centrifugal operation. A switch in the gear lever operated a solenoid valve so that when the gear lever was moved the clutch was disengaged. A control unit made throttle adjustments to keep the engine speed matched to the driven clutch plate and also varied the speed of clutch operation appropriate to road speed. The Newtondrive system differed in making a provision for choke control and a cable linkage from clutch operating mechanism to the throttle. The systems could be fitted to smaller cars such as the Ford Anglia. Tiptronic is a registered trademark, owned by German car maker Porsche, who license it for use by other manufacturers, such as Land Rover and the full Volkswagen Group (Audi, SEAT, Škoda, Bugatti, Lamborghini, Porsche and Volkswagen). Many people use the term 'tiptronic' to refer generically to any type of torque converter automatic transmission that incorporates a manual upshift/downshift feature. A tiptronic transmission can operate in the same manner as a conventional type of automatic transmission, but also offers the driver an additional method of manually overriding the automatic shift changes. By moving the shift lever into a second operating plane of the shift gate, equipped with two spring-loaded positions: "upshift" and "downshift", the driver takes over most of the gear shifting decisions, which would ordinarily be performed by the transmission's computer. For example, this allows delayed upshifts for increased acceleration, increased engine braking, gear holding in curves, downshifting before passing, or early upshifting for cruising. On some models, the upshift and downshift operations can also be controlled by push-buttons or "paddle shifters" installed on the steering wheel, with an optional display in the instrument panel indicating the current gear selection. Since adding Tiptronic to a semi-automatic transmission involves an additional shift gate into the computer and update to the transmission software, it is inexpensive and lightweight to implement. Although tiptronic transmissions allow the driver a certain measure of discrete control, the tiptronic design is implemented using a torque converter like other automatic transmissions. A true tiptronic transmission is not a computer controlled manual transmission (with a conventional clutch), or semi-automatic transmission. Most tiptronic implementations still make some shifts automatically, primarily to protect the engine and transmission. For example, as used by licensee Audi, the five-speed tiptronic will automatically make the upshift from 1 to 2 when moving off from a stop, even when in manual mode; the transmission then waits for the user's upshift command before proceeding from 2 to 3, 3 to 4 and 4 to 5, although the transmission will still upshift if the redline is approached. On deceleration, the transmission will make all downshifts automatically when close to the tick-over or idle speed, to prevent the engine from stalling at too-low an RPM, although the user can accelerate any downshift that would not exceed the redline. 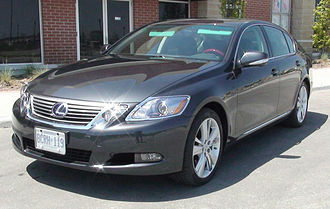 Most luxury vehicles with a tiptronic transmission have two fully automatic modes: the primary mode, identified as "Drive", "Comfort" or similar; and another, usually called "Sport," which delays upshifts higher up the engine rev range (and will also downchange higher up the rev range) for a sportier driving and enhanced engine braking — at the expense of fuel, wear, comfort, and noise. Furthermore, because modern tiptronic-type transmissions use an electronic control unit (ECU), sometimes specifically referred to as the transmission control unit, the transmissions are able to adapt to the user's driving style through "fuzzy logic". Shift points are tailored to the habits of the driver, through an evolutionary process. The Tiptronic S is an upgrade to the original Tiptronic, with the ability to adapt to driver's behaviour, and also allows driver to change gears without entering manual mode. In manual mode, if there is no driver input for a period of eight seconds, the system reverts to automatic mode. It was used as early as 2000 in the Porsche Boxster. In the Porsche Cayenne, the Tiptronic S was upgraded to six-speed. 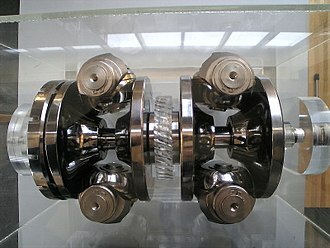 ^ "Twin Clutch SST, Mitsubishi-Motors.com Technology Library". Retrieved 2014-12-07. ^ "Porsche Technical Highlights". Carpages.co.uk. Retrieved 2011-07-31. ^ "Tiptronic S details". Porsche.com. Archived from the original on 2012-03-06. Retrieved 2011-07-31. ^ "2000 PORSCHE BOXSTER". Auto123.com. 2000-01-15. Retrieved 2011-07-31. ^ "MotorBar Road Test: Porsche Cayenne S". Motorbar.co.uk. Retrieved 2011-07-31. Jeep is a brand of American automobiles that is a division of FCA US LLC, a wholly owned subsidiary of Fiat Chrysler Automobiles. The former Chrysler Corporation acquired the Jeep brand, along with the assets of its owner American Motors. The division is headquartered in Toledo, Jeeps current product range consists solely of sport utility vehicles and off-road vehicles, but has included pickup trucks in the past. The original Jeep was the prototype Bantam BRC, Willys MB Jeeps went into production in 1941 specifically for the military, arguably making them the oldest four-wheel drive mass-production vehicles now known as SUVs. The Jeep became the primary light 4-wheel-drive vehicle of the United States Army, the term became common worldwide in the wake of the war. Doug Stewart notes, The spartan and unstintingly functional jeep became the ubiquitous World War II four-wheeled personification of Yankee ingenuity and cocky, the first civilian models were produced in 1945. 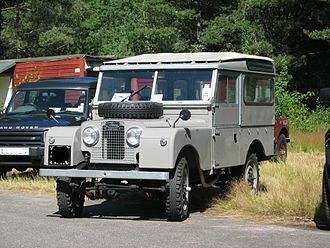 It inspired a number of light utility vehicles, such as the Land Rover. Many Jeep variants serving similar military and civilian roles have since been designed in other nations, only two companies responded to the request, American Bantam Car Company and Willys-Overland. The Army had set what seemed like an impossible deadline of 49 days to supply a working prototype, Willys asked for more time, but was refused. The bankrupt American Bantam Car Company had no engineering staff left on the payroll and solicited Karl Probst, after turning down Bantams initial request, Probst responded to an Army request and commenced work, initially without salary, on July 17,1940. Probst laid out plans for the Bantam prototype, known as the BRC or Bantam Reconnaissance Car. Bantams bid was submitted, complete with blueprints, on July 22, while much of the vehicle could be assembled from off-the-shelf automotive parts, custom four-wheel drivetrain components were to be supplied by Spicer. The hand-built prototype was completed in Butler and driven to Camp Holabird, the vehicle met all the Armys criteria except engine torque. Use of the term is confused, as it is applied to several different, but related, meanings. The purpose of such a gear may not be immediately obvious, the power produced by an engine increases with the engines RPM to a maximum, falls away. The point of power is somewhat lower than the absolute maximum RPM to which the engine is limited. A cars speed is limited by the required to drive it against air resistance. At the maximum speed, the engine is running at its point of maximum power, or power peak. There is therefore one specific gear ratio at which the car can achieve its maximum speed, the one that matches that engine speed with that travel speed. At travel speeds below this maximum, there is a range of ratios that can match engine power to air resistance. 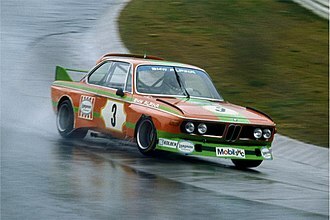 Therefore, a car needs one gearing to reach maximum speed, with the early development of cars and the almost universal rear-wheel drive layout, the final drive ratio for fast cars was chosen to give the ratio for maximum speed. The gearbox was designed so that, for efficiency, the fastest ratio would be a direct-drive or straight-through 1,1 ratio, avoiding frictional losses in the gears. Mazda Motor Corporation, commonly referred to as simply Mazda, is a Japanese multinational automaker based in Fuchū, Aki District, Hiroshima Prefecture, Japan. 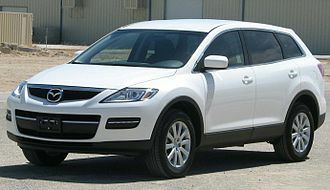 In 2011, Mazda was the fifteenth biggest automaker by production worldwide, Mazdas company website states that its name is derived from Ahura Mazda, the Avestan word for God, which is the name of God to Zoroastrians. Specifically, the states that The name was associated with Ahura Mazda. The company website further notes that the name derives from the name of the companys founder. Mazda began as the Toyo Cork Kogyo Co, founded in Hiroshima, Japan,30 January 1920. Toyo Cork Kogyo renamed itself to Toyo Kogyo Co. Ltd. in 1927, in the late 1920s the company had to be saved from bankruptcy by Hiroshima Saving Bank and other business leaders in Hiroshima. 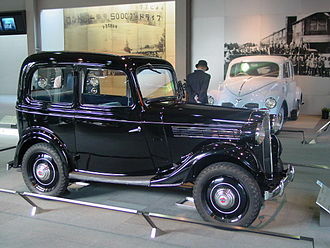 In 1931 Toyo Kogyo moved from manufacturing machine tools to vehicles with the introduction of the Mazda-Go autorickshaw, Toyo Kogyo produced weapons for the Japanese military throughout the Second World War, most notably the series 30 through 35 Type 99 rifle. The company formally adopted the Mazda name in 1984, though every automobile sold from the bore that name. The Mazda R360 was introduced in 1960, followed by the Mazda Carol in 1962, both piston-powered and rotary-powered models made their way around the world. The R100 and the RX series led the companys export efforts, during 1968, Mazda started formal operations in Canada although Mazdas were seen in Canada as early as 1959. In 1970, Mazda formally entered the American market and was successful there. 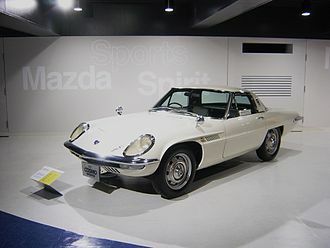 To this day, Mazda remains the only automaker to have produced a Wankel-powered pickup truck, additionally, it is the only marque to have ever offered a rotary-powered bus or station wagon. After nine years of development, Mazda finally launched its new model in the U. S. in 1970, Mazdas rotary success continued until the onset of the 1973 oil crisis. As American buyers quickly turned to vehicles with fuel efficiency. Combined with being the least-efficient automaker in Japan, inability to adjust to excess inventory and over-reliance on the U. S. market, the company suffered a huge loss in 1975. FCA US is one of the Big Three American automobile manufacturers. 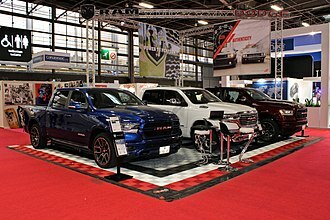 FCA US has its headquarters in Auburn Hills and sells vehicles worldwide under its flagship Chrysler brand, as well as the Dodge, other major divisions include Mopar, its automotive parts and accessories division, and SRT, its performance automobile division. The Chrysler Corporation was founded by Walter Chrysler in 1925, out of what remained of the Maxwell Motor Company, Chrysler greatly expanded in 1928, when Mr. The brand diversification efforts were inspired by Mr. Chryslers time working for General Motors, in the 1960s the company expanded into Europe, by taking control of French and Spanish auto companies, Chrysler Europe was sold in 1978 to PSA Peugeot Citroën for $1. Chrysler struggled through the 1970s to adapt to changing markets, increased US import competition, the company began an engineering partnership with Mitsubishi Motors, and began selling Mitsubishi vehicles branded as Dodge and Plymouth in North America. By the late 1970s, Chrysler was on the verge of bankruptcy, New CEO Lee Iacocca was credited with returning the company to profitability in the 1980s. In 1985, Diamond-Star Motors was created, further expanding the Chrysler-Mitsubishi relationship, in 1987, Chrysler acquired American Motors Corporation, which brought the profitable Jeep brand under the Chrysler umbrella. Like the other Big Three automobile manufacturers, Chrysler was hit hard by the industry crisis of 2008–2010. 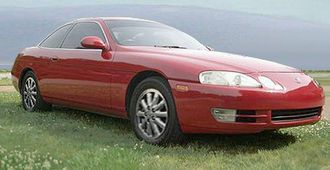 On June 10,2009, Chrysler emerged from the proceedings with the United Auto Workers pension fund, Fiat S. p. A. The bankruptcy resulted in Chrysler defaulting on over $4 billion in debts, by May 24,2011, Chrysler finished repaying its obligations to the U. S. government five years early, although the cost to the American taxpayer was $1.3 billion. Over the next few years Fiat gradually acquired the other parties shares while removing much of the weight of the loans in a short period. On January 1,2014, Fiat S. p. A announced a deal to purchase the rest of Chrysler from the United Auto Workers retiree health trust. Honda Motor Co. Ltd. is a Japanese public multinational conglomerate corporation primarily known as a manufacturer of automobiles, aircraft and power equipment. 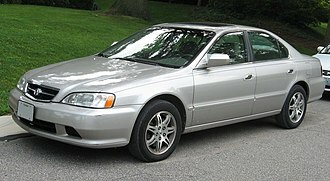 Honda became the second-largest Japanese automobile manufacturer in 2001, Honda was the eighth largest automobile manufacturer in the world behind General Motors, Volkswagen Group, Hyundai Motor Group, Nissan, and PSA Peugeot Citroën in 2011. 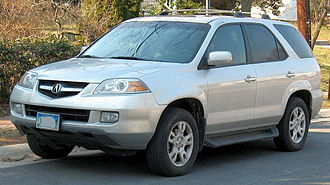 Honda was the first Japanese automobile manufacturer to release a luxury brand, Acura. Aside from their automobile and motorcycle businesses, Honda manufactures garden equipment, marine engines, personal watercraft and power generators. Since 1986, Honda has been involved with artificial intelligence/robotics research and they have ventured into aerospace with the establishment of GE Honda Aero Engines in 2004 and the Honda HA-420 HondaJet, which began production in 2012. Honda has three joint-ventures in China, in 2013, Honda invested about 5. 7% of its revenues in research and development. Also in 2013, Honda became the first Japanese automaker to be a net exporter from the United States, exporting 108,705 Honda and Acura models, throughout his life, Hondas founder, Soichiro Honda had an interest in automobiles. He worked as a mechanic at the Art Shokai garage, where he tuned cars, in 1937, with financing from his acquaintance Kato Shichirō, Honda founded Tōkai Seiki to make piston rings working out of the Art Shokai garage. After initial failures, Tōkai Seiki won a contract to supply piston rings to Toyota, Honda aided the war effort by assisting other companies in automating the production of military aircraft propellers. The relationships Honda cultivated with personnel at Toyota, Nakajima Aircraft Company, with a staff of 12 men working in a 16 m2 shack, they built and sold improvised motorized bicycles, using a supply of 500 two-stroke 50 cc Tohatsu war surplus radio generator engines. When the engines ran out, Honda began building their own copy of the Tohatsu engine and this was the Honda A-Type, nicknamed the Bata Bata for the sound the engine made. In 1949, the Honda Technical Research Institute was liquidated for ¥1,000,000, or about US$5,000 today, at about the same time Honda hired engineer Kihachiro Kawashima, and Takeo Fujisawa who provided indispensable business and marketing expertise to complement Soichiro Hondas technical bent. Nissan Motor Company Ltd, usually shortened to Nissan, is a Japanese multinational automobile manufacturer headquartered in Nishi-ku, Yokohama. The company sells its cars under the Nissan, since 1999, Nissan has been part of the Renault–Nissan Alliance, a partnership between Nissan and French automaker Renault. As of 2013, Renault holds a 43. 4% voting stake in Nissan, Carlos Ghosn serves as CEO of both companies. Taken together, the Renault–Nissan Alliance would be the fourth largest automaker, however Nissan is the leading Japanese brand in China, Russia. Nissan is the worlds largest electric vehicle manufacturer, with sales of more than 275,000 all-electric vehicles as of mid-December 2016. Masujiro Hashimoto founded the Kaishinsha Motor Car Works 1 July 1911, in 1914, the company produced its first car, called DAT. 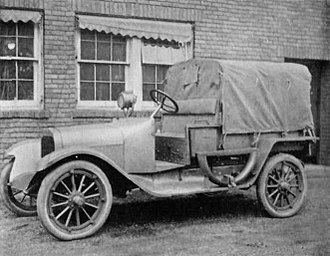 DAT Motors built trucks in addition to the DAT and Datsun passenger cars, beginning in 1918, the first DAT trucks were produced for the military market. At the same time, Jitsuyo Jidosha Co.
Ltd. produced small trucks using parts, Commercial operations were placed on hold during Japans participation in World War I, and the company contributed to the war effort. In 1926 the Tokyo-based DAT Motors merged with the Osaka-based Jitsuyo Jidosha Co. Ltd. a. k. a, Jitsuyo Jidosha Seizo to become DAT Jidosha Seizo Co. Ltd Automobile Manufacturing Co. Ltd. in Osaka until 1932, from 1923 to 1925, the company produced light cars and trucks under the name of Lila. In 1931, DAT came out with a new car, called the Datsun Type 11. Later in 1933 after Nissan Group zaibatsu took control of DAT Motors, in 1933, the company name was Nipponized to Jidosha-Seizo Co. Ltd. and was moved to Yokohama. In 1928, Yoshisuke Aikawa founded the holding company Nihon Sangyo, the name Nissan originated during the 1930s as an abbreviation used on the Tokyo Stock Exchange for Nihon Sangyo. This company was the famous Nissan Zaibatsu which included Tobata Casting, at this time Nissan controlled foundries and auto parts businesses, but Aikawa did not enter automobile manufacturing until 1933. The Lincoln Motor Company is a division of the U. S. -based Ford Motor Company that sells luxury vehicles under the Lincoln brand. 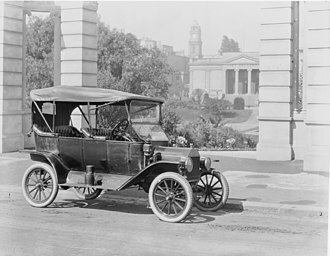 Founded in 1917 by Henry M. Leland, Lincoln has been a subsidiary of Ford since 1922, while currently sold primarily in North America, Ford introduced the Lincoln brand to China in 2014. Lincoln vehicles are sold in the Middle East and South Korea. The current Lincoln model range in North America consists of two sedans, three crossover utility vehicles, and a utility vehicle. Lincoln sells two vehicles specifically for use, both based on the MKT. 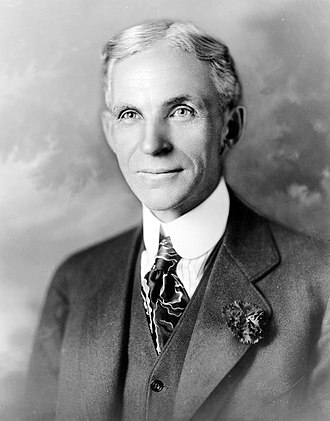 The Lincoln Motor Company was founded in August 1917 by Henry Leland, an engineer, Henry Leland named his new automobile company after Abraham Lincoln, the first presidential candidate for whom he had cast a vote. 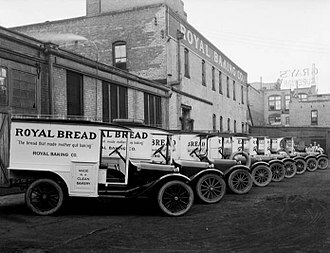 Following the end of the war, the Lincoln factory was retooled entirely for automobile production, during the early 1920s, Lincoln suffered severe financial issues, balancing the loss of revenue of Liberty engine production with the obsolete design of the expensive Model L.
For Henry Ford, the purchase of Lincoln was a personal triumph, the company, renamed Cadillac in 1902 was purchased by General Motors in 1909, serving as the chief competitor to Lincoln. 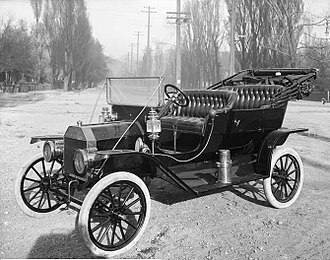 While Henry Ford had previously introduced Ford-branded luxury vehicles, the company found little acceptance, with the acquisition of Lincoln, the nameplate became a top-selling rival alongside Pierce-Arrow, Peerless and Packard. Although the chassis itself saw few changes, the body saw significant updates. At the direction of Henrys son Edsel, in 1923 several body styles were introduced, that included two- and three-window, four-door sedans and they offered a two-passenger roadster and a seven-passenger touring sedan and limousine, which was sold for $5,200. A sedan, limo and town car were offered by coachbuilders Fleetwood and Dietrich. Murphy and Waterhouse were added in the 1930s, in 1924 large touring sedans began to be used by police departments around the country. They were known as Police Flyers, which were equipped with four-wheel brakes, Police whistles were coupled to the exhaust system and gun racks were fitted to these vehicles. Jaguars business was founded as the Swallow Sidecar Company in 1922, originally making motorcycle sidecars before developing bodies for passenger cars. Under the ownership of S. S, Cars Limited the business extended to complete cars made in association with Standard Motor Co many bearing Jaguar as a model name. The companys name was changed from S. S, Cars to Jaguar Cars in 1945. Jaguar was de-merged from British Leyland and was listed on the London Stock Exchange in 1984, Jaguar has, in recent years, manufactured cars for the British Prime Minister, the most recent delivery being an XJ in May 2010. The company holds royal warrants from Queen Elizabeth II and Prince Charles, the carmaker said around 1,000 academics and engineers would work there and that construction would start in 2014. The Swallow Sidecar Company was founded in 1922 by two motorcycle enthusiasts, William Lyons and William Walmsley, in 1934 Walmsley elected to sell-out and Lyons formed S. S. Cars Limited funding the replacement of Walmsleys investment by issuing shares to the public, the SS Jaguar name first appeared in September 1935 on a 2. 5-litre saloon, sports models of which were the SS90 and SS100. On 23 March 1945 the S. S, Cars shareholders in general meeting agreed to change the companys name to Jaguar Cars Limited. Said Chairman William Lyons Unlike S. S. the name Jaguar is distinctive, Jaguar made its name by producing a series of successful eye-catching sports cars, the Jaguar XK120, Jaguar XK140, Jaguar XK150, and Jaguar E-Type, all embodying Lyons mantra of value for money. The sports cars were successful in motorsport, a path followed in the 1950s to prove the engineering integrity of the companys products. Jaguars sales slogan for years was Grace, Pace, during the time this slogan was used, but the exact text varied. It had a hemispherical cylinder head with valves inclined from the vertical, originally at 30 degrees and 45 degrees. As fuel octane ratings were low from 1948 onwards, three piston configuration were offered, domed and dished. The main designer, William Bill Heynes, assisted by Walter Wally Hassan, was determined to develop the Twin OHC unit, Bill Lyons agreed over misgivings from Hassan. An overdrive is sometimes a separate unit that fits into the back of a gearbox, as with this Fairey unit. A plate warns to only engage the unit in third and fourth gears. Laycock de Normanville "J type" Overdrive Unit. Delivery vans based on the Anglia supported British commerce for several decades. These "commercial" versions often retained the mechanical components and front sections of superseded Anglia saloons. Ford factory in Norlane, Victoria, 1957. The Ford Australia plant under construction in Geelong, 1926. Holden's FC series was the first to be tested at the Lang Lang proving ground. The EK of 1961 was Holden's response to the Ford Falcon, with the availability of automatic transmission.